Though they are located just 15 minutes north of downtown, the neighborhoods of Miramar and Clairemont might not be top of mind destinations for visitors to San Diego. But locals know there are plenty of terrific things to do, taste and see in this part of of town. While there are several places to see local art in these neighborhoods, the most inspiring art in Clairemont often comes in edible form. This area is brimming with Asian eateries and markets, taking visitors on a culinary tour through several countries without ever leaving San Diego. It”s been said that the name “dim sum” means “little jewels that tug at the heart,” and you”ll find out why when you see the beautiful and delicious dishes at China Max. Stroll the aisles at Zion Market and you”ll be astounded by the many Asian delicacies waiting best online casino to be taken home (or eaten right on the spot). There is a fine art to preparing Korean BBQ just right, so don”t be afraid to ask the staff for a few tips during your meal at Jeong Won BBQ. 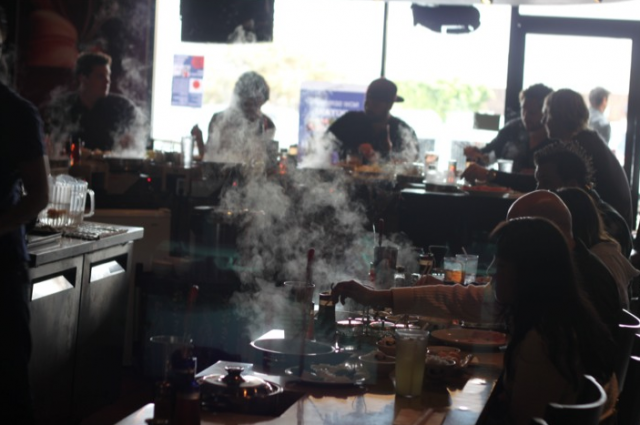 Authentic Asian cuisine is just one reason to visit the Clairemont neighborhood. Clairemont and Miramar are also host to several cultural festivals throughout the year, celebrating the numerous ethnic groups that have made San Diego their home. The San Diego Night Market is a festival featuring all things from Asian culture, but most folks go for all the tasty food. The Filipino Sun Festival takes place every April and features lots of great live entertainment. Each spring, the National Asian American Coalition presents the Asian Cultural Festival of San Diego, with Polynesian, Indian, and Chinese traditional dancers, Korean music and more. This entry was posted in Arts & Culture, Culinary, Insider Tips and tagged asian food, asian market, cultural, festivals, north county inland by Candice. Bookmark the permalink.